We took a family trip to the Cotswalds in the U.K. a few years ago, and stopped by a bird zoo one morning. 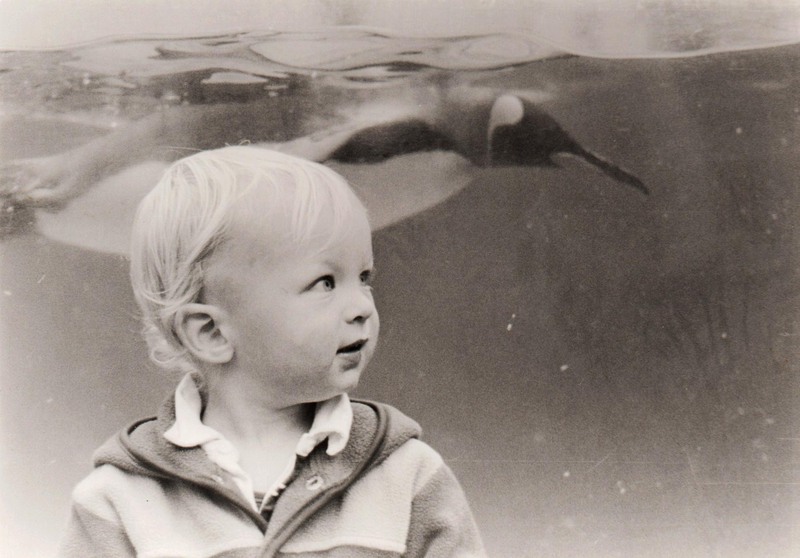 My nephew Lukas was about 20 months old then, and was so excited by all of the animals. He stopped in front of the penguin tank and I just waited for the birds to bob on by. This is my favorite shot, taken with my Nikon F70, silver gelatin print, warm tone paper.